I have recently acquired and started using a rolled him foot for my Kenmore machine. IT is not the easiest thing to use but I discovered something today that is really great and I wanted to share in case it would help others. Abigail's new dress is circular layers of this thin, gauzy fabric attached to a full lining made from cotton. Because it is sheer and I was going to be cutting the skirt in various circles I knew it was time to learn to use a rolled hem foot. 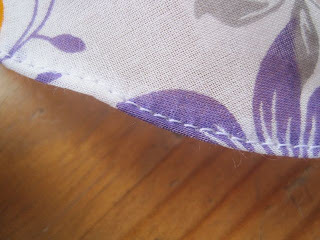 doing this hem by hand would have be days of work, tons of aggravation and it probably would have looked terrible despite the effort. I did practice with this foot and actually made two other dresses with it before I started in on Abigail's. The thin fabric is actually much easier to get through than the thicker cotton I used on the Cherry City Kids dresses but I discovered by accident that it works wonderfully if the edge has been surged first. First surge the edge that you plan to roll and hem. 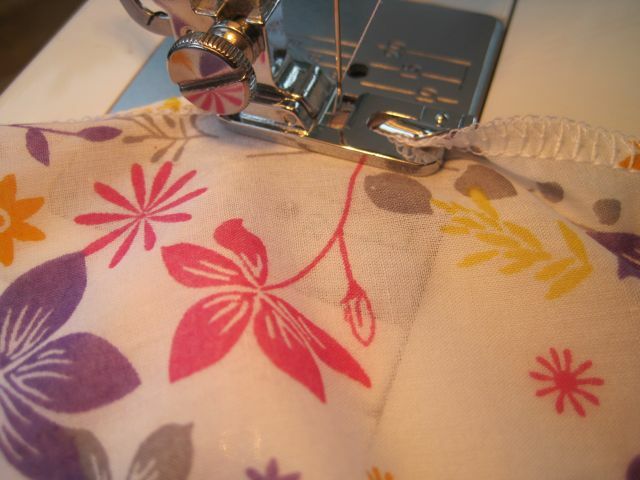 The surging gives the fabric a natural fold point that makes it roll into the foot much more easily than without. You still have to guide it, but the fabric more naturally wants to roll at that point and it happens to be the right with for the foot! 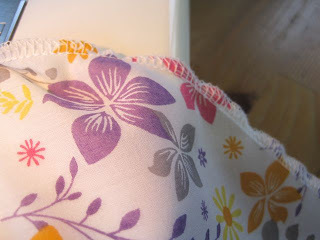 Here is the backside of the rolled hem. 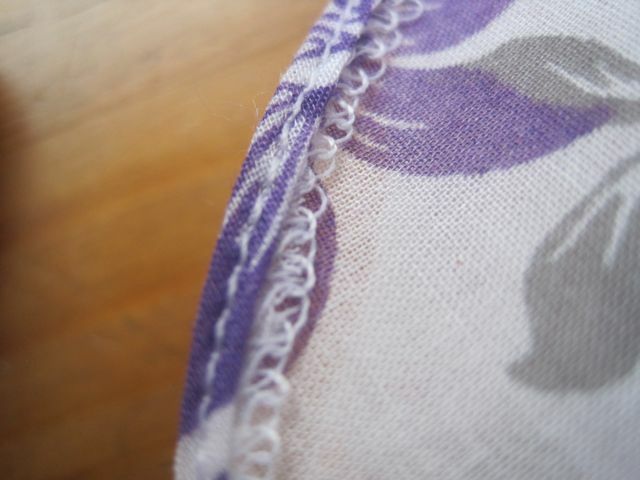 You can see the surger loops sticking up there out of the hem, but it is very nice and neat because I didn't take pictures of the messy bits. The Best Reason to Give Your Wife Flowers..
Cherry City is now on Facebook!